The development of new approaches to instrumentality during the decade of 1960 has contributed to the dual perception of instrument as scores. For many performers, the instrument became the score of what they played. This artistic hybridization carries substantial questions about the nature of our scores and about the relationships among instruments, performers and musical works. In my talk, I will contextualize the historical origins of this instrumental development within digital humanities, in particular Drucker’s theory of performative materiality, Barad’s posthumanist performativy and Ingold’s procesual and relational description of material properties. Following this approach, I will defend that a ‘hybrid’ and ‘performative’ understanding of writing music, which shifts the focus from linguistic and visual representations to discursive practices, is one such alternative for suggesting new practices of notation and interface design. 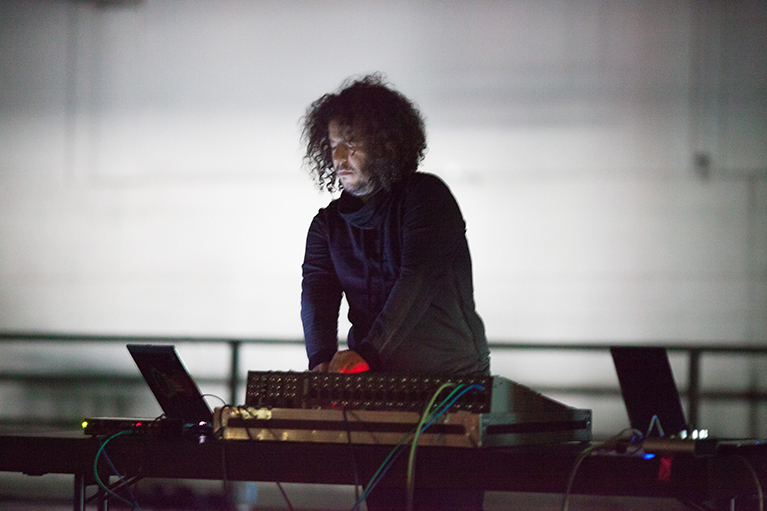 Enrique Tomás is a sound artist and researcher who dedicates his time to finding new ways of expression and play with sound, art and technology. His work explores the intersection between sound art, computer music, locative media and human-machine interaction. He has exhibited and performed throughout Europe and America at the spaces of ZKM, Ars Electronica, Sónar, SMAK, STEIM, etc. Tomás is also an active researcher on the field of new interfaces for musical expression. He is affiliated to the Interface Cultures department of the University of Art and Design of Linz, and his research has been presented at international peer-reviewed conferences like NIME, ICMC, SMC, TEI and TENOR. His artistic work has been supported and awarded with scholarships by Telefónica Vida, Phonos Foundation, the Academy of Fine Arts of Vienna and the Art Council of Madrid.